Nintendo has a lot of franchises to the point where someone always leaves E3 disappointed. Some series, like WarioWare and Pikmin, still get an occasional mention here and there. Other franchises, like the beloved F-Zero, go to waste for a decade or more. The storied Advance Wars series falls into the latter category, as Fire Emblem continues to be Intelligent Systems’ sole focus. Of course, whenever a big company leaves a gap in the market, they also create an opportunity for a little guy to land a critical hit. 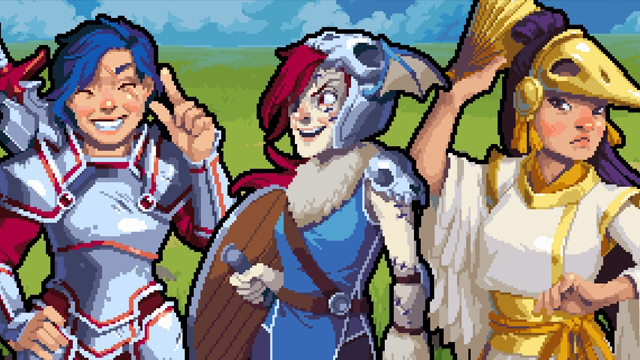 Enter Chucklefish and WARGROOVE, a turn-based game that takes the best parts of both of Nintendo’s strategic titles and merges them into something wholly original. When a vampire charges into the throne room and murders the king, the land of Cherrystone erupts into war. 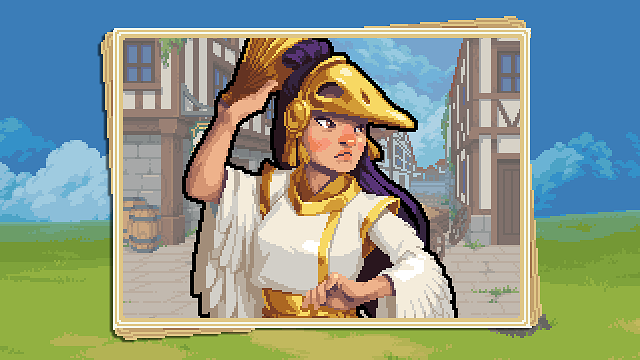 The new Queen Mercia must flee from her home and rely on the hospitality of neighboring kingdoms. As she makes new allies and fights her way to safety, a greater force reveals itself. If all that sounds familiar, you’re not wrong. Wargroove‘s plotting is very typical for a Fire Emblem-style experience. It hits all the notes you expect with few surprises, but at least it’s simple and straightforward. If you find yourself caring about these characters, there’s a full codex filled with backstory, but none of it seems vital. What is vital to Wargroove‘s success is the way it handles combat. Despite the medieval cast of characters, this is an Advance Wars game through and through. You have a single commander and disposable units that you position and recruit on the battlefield. Fights take place on land, air, and sea, with plenty of units for each style. A typical end goal of each level involves striking down the opposing commander or their fortress. Despite meeting with several unique factions on your journey, you’ll find that each army plays similarly. Everyone has a basic swordsman, a slow-moving archer, and a dog unit for scouting, among other things. It’s rather disappointing that there aren’t more unique units, as battles can get repetitive once you’ve seen everything. When we’re talking about a spread that goes from an undead army of skeletons to plant people, it’s just weird that they all work the same. The only real differences are in each faction’s commanders and their special Wargroove ability. Yes, this is where the Fire Emblem spin comes into play. Instead of staying on the sidelines, commanders in Wargroove march onto the field. They’re powerful hero units that can take on almost any foe, but losing them in battle will cost you everything. Each faction has three choices for a commander, and they each have their own ultimate move. Some can cast a defensive aura on the field, others can summon new units in the midst of the action. There were a few clunkers among these powers, but they all add a great level of depth to a system that desperately needs it. Simply put, Wargroove isn’t trying to rewrite the book on strategy. It wears its inspirations on its sleeves and only offers minor tweaks to a proven formula. It executes on that formula spectacularly well, but you have to be into unit management and positioning in order to fully get everything you want out of this campaign. Those types of players will also get through the campaign with great haste, as it isn’t a particularly long or difficult affair. Players more unfamiliar with turn-based combat will make great use of the trio of difficulty sliders in the menu. 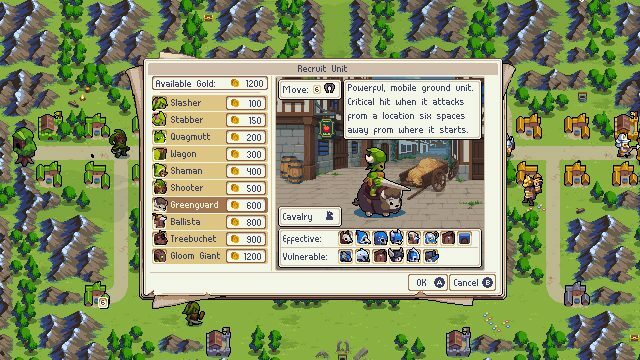 You can adjust how much damage you take, how often your Wargroove charges, and how much unit-producing currency you generate. With the right settings, even a fresh-faced youngster can get into the action, which is great. Both the young and the young at heart deserve to discover the fun of watching Caesar the armored dog command his troops to victory. Despite the campaign’s short length, the single-player content doesn’t end there. Wargroove also includes an old school arcade ladder where you’ll face five commanders in quick succession. You can choose any character from the campaign, provided you’ve unlocked them via their specific side missions. Each ladder has a small helping of character dialogue, similar to character endings in a fighting game. Once you get skilled at the combat, there’s also a Puzzle mode. Here, you need to work your way out of a rough situation in just one turn. If you plow through every bit of authored content on offer and you don’t have a friend around, you still have more to do. 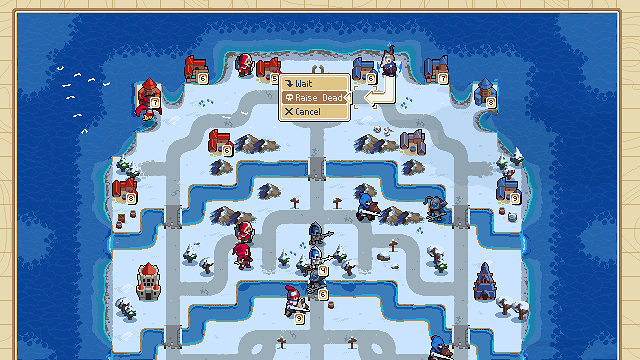 Wargroove‘s map editing tools are some of the best that console gaming has to offer. You can create maps, drop units where you like, and even provide story setup with custom cutscenes. If you see something in the campaign, you can do it yourself in the editor. The process is relatively painless, although you’ll want to go through extensive testing to make sure your maps are strategically sound. Thankfully, you can upload your creations and even download what others have come up with and play through them yourself. Whether you’re going through solo or teaming up with a buddy in co-op, you’ll have a feast for the eyes. Wargroove is a gorgeous example of high fidelity pixel art, even when you’re fully zoomed out during gameplay. The battle scenes are vibrant and energetic, although they do take a bit too long to play out. There’s nothing in-game quite as pretty as the fully animated cutscene that starts everything off, but we can’t have everything. 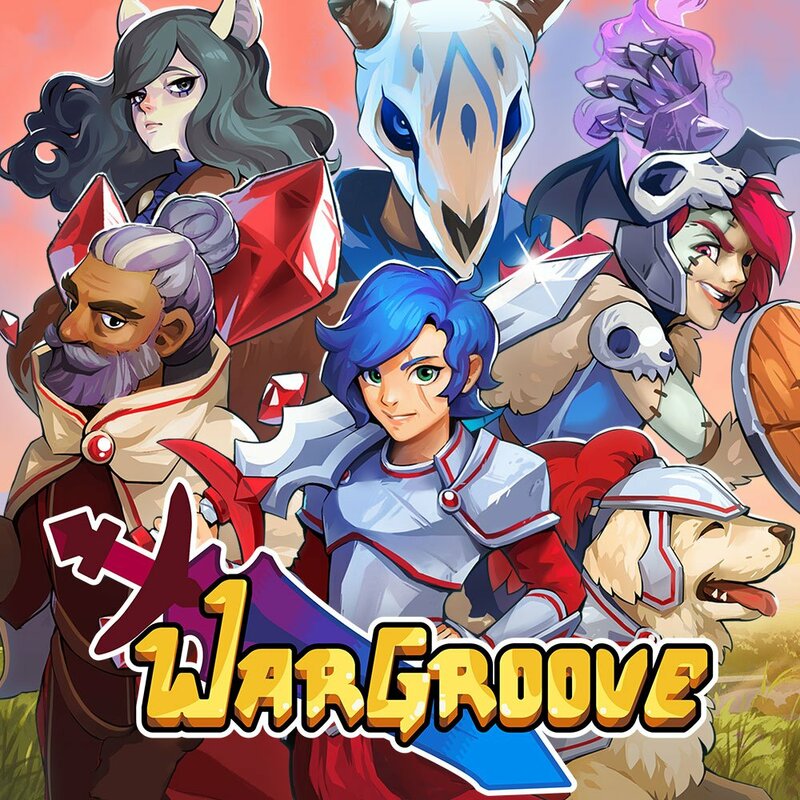 Unlike a lot of indie-level titles, Wargroove is truly fully featured. It’s got a solid story mode, but that’s just the start. The side modes and especially the map editor give you a lot of bang for your buck. Add on the impressive presentation and you’ve got a damn fine way to whittle away the hours until Nintendo decides to revive one of its long-dormant IPs. GameRevolution reviewed Wargroove on Nintendo Switch with a copy provided by the developer. A short but sweet campaign and plenty of side modes. Accessibility options that let everyone play. A killer map editor with endless potential. Dogs. Lots and lots of dogs. Every faction has the same types of units. Battle animations take way too long to play out.